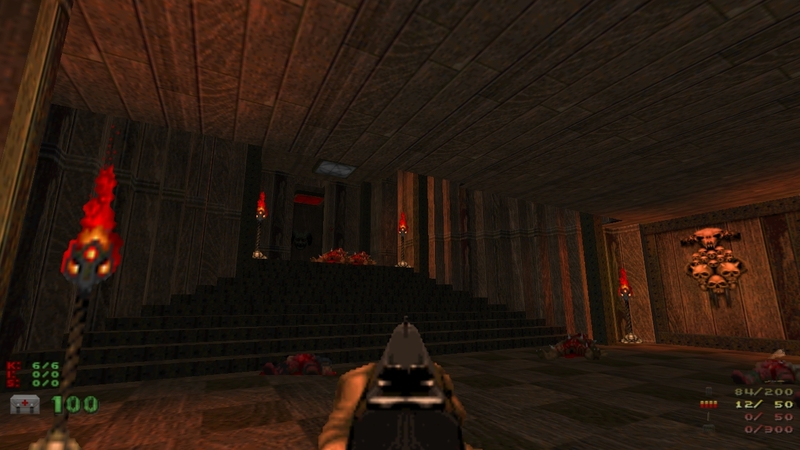 For folks who have followed the evolution of my Doom Upgrade Mod and furthermore actually downloaded it and tried it (I know there's at least one of you) and are likely waiting for me to flake out and release yet another version of it, I'd just like to offer this bit of reassurance: I've just finished playing through the 50+ maps of the TAB series (reviewed in a previous post) with the mod and have found no further issues with it. It has performed rather well and I'm still quite satisfied with it. As those of you who do any modding surely know, there's really no substitute for actual in-game testing; so far I feel that the mod is passing the test. Just for the record, all the download links in the blog sidebar, including (somewhat to my surprise) the DoomWorld link, are for the current finished version of the mod. If during the course of this project you've lost track of which of my many versions of the thing you actually have, I recommend downloading from one of those links just to be sure. The mod has yet to appear in the "Latest Files" category on the Archives Front Page so nobody over there has really noticed the mod yet, thus feedback on the project has been rather limited. I'm eager to find out what others will think of the thing, given my past experiences with the DoomWorld community. In the meantime, I think it's time to tackle my collection of the Master Levels with my little randomizer mod. Thus far it has made the average map on the Ultra-Violence difficulty setting more challenging but by no means impossible (my version of the Devastator is rather handy at times), so it will be interesting to see what the mod does to the difficulty of maps created by these famous authors. Also perhaps worthy of note would be the fact that over the last few days I've actually had DoomBuilder running and drawn up a room or two from scratch, just to see if I remembered how. (That's right, DoomWorld: FROM SCRATCH. Believe it!) Playing the game and putting together the mod for some reason got my creative energies running in that direction. Will I draw up an entire playable map? I really can't say at the moment. But, though so far the untitled map only consists of two rooms, two secrets and about six monsters, for some reason I like the way the thing is looking and just might continue to draw up a new room here and there when I'm bored or need a break from other pursuits. So anyway, that's what I've been up to. Stay tuned to the blog for more Doom info and reviews; I've still got nearly 20 years of Doom to cover! I had similar trouble with the first level of Plutonia; they made it quite challenging, mods or not. I had to reset a few times myself before I got some random spawns I could deal with. This might sound a bit crazy, but my advice is to actually give it a try on Ultra-Violence; the more soldiers spawn near the beginning, the more likely you are to get some better weapons. Just a thought. If the nasty respawning thing you're referring to is the Death Incarnate (the burnt skeleton), the Seeker Bazooka is the way to send him to his final rest. Unfortunately, that info is likely to do you little good on the first level since the only way to get said weapon is from the Cybruiser. Sorry. Thanks. The more encouragement and support I get, the more likely I will be to actually do something with it. Yes, I'm ashamed to admit it, but I did a bit of tactical retreating there myself. There's also an area that has an Archie in it, but it's optional so it could be avoided if you choose. Archon showed up again, and killed me three times before I found just the right weapon to frag him! Machinegun for the win! The random element of not only the creatures, but the weapons, ammo and power-ups do actually increase the challenge level of the game. I would think it is close to a full step of difficulty, especially on the lower difficulty levels. 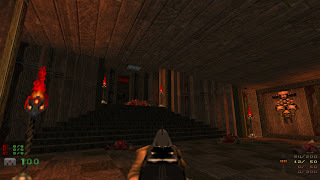 I'm trying this out on Plutonia at the easiest difficulty, and I'm still facing Archons, Death Incarnate, and zombies weilding rather powerfull weapons (plasma guns and kawanagas on the first map). Thanks. Adding new freshness to the old maps was exactly my goal; the added difficulty is just a bit of a side-effect. But yes, the weapons should help tip things back in your favor, also my intention. Things like the Seeker Bazooka, the Necrovision Machine Gun and the Devastator were included for just such emergencies, though it takes some practice to figure out how to use them effectively.